Sidd works at the intersection of technology, public policy research, and business innovation in various capacities. He is passionate about social entrepreneurship, politics, pro-sports and comics. Siddharth is from Bangalore, India. He has studied government and public policy in North America, with a focus on international development and human security. Sidd obtained an MSc from the London School of Economics; published Start Up City : Ten Tales Of Exceptional Entrepreneurship From Bangalore’s Software Miracle, a book on entrepreneurship in Bangalore’s software sector; started a community based organization (NetSquared London) to bring together people interested in technology and social good, and was recently appointed Regional Ambassador for UK and Western Europe for the same. He is a member of the Board of the Volunteer Center Hackney. Siddharth is also often heard as an analyst on Sky News. Siddharth believes that the present system of global governance lacks democratic legitimacy and he is mainly interested in addressing this ‘democratic deficit’. He argues for the need to ‘think locally and act globally’. Therefore, he aims at developing global networks of morally motivated and driven individuals who would engage in advocacy work, campaigning and policy-making in order to increase the transparency and accountability of international organizations governing the world today. As one of his referees wrote: “his emphasis on civil society at an international level, and its linkage with international organization, is entirely appropriate in the contemporary setting.” Throughout his education, Siddharth has been employed by and consulted for various think tanks and advocacy based non-governmental organizations, trying to bring a measure of sanity to the unnecessary arms race that the world is experiencing. During the summer of 2008, he worked in a Canadian political campaign as well as a summer school project in Montreal and Quebec City, Canada. He has also participated as a project partner in the CIVICUS World Assembly in Botswana in 2004 and in Scotland in 2006 – 2008. 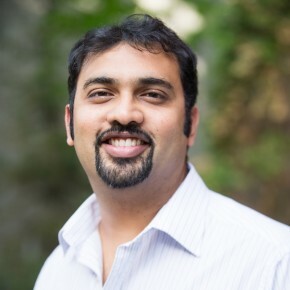 From January 2008 to March 2012, Siddharth was Director of Research of the Association for Canadian Studies, a non-partisan think tank with a mandate to provide thought leadership and insights on public policy issues. Siddharth worked as an external resource person for the Quebec-India Study Group; researched and participated in several forums on the reasonable accommodation debate in Quebec; and worked with organizations whose aim was to overhaul the primary education curriculum in India. He also made site visits to an urban education and housing resource for street children in Mumbai. In May 2015, Siddarth returned to Sauvé House to participate in Sauvé Encore! 2015, as part of the Foundation’s alumni outreach program.